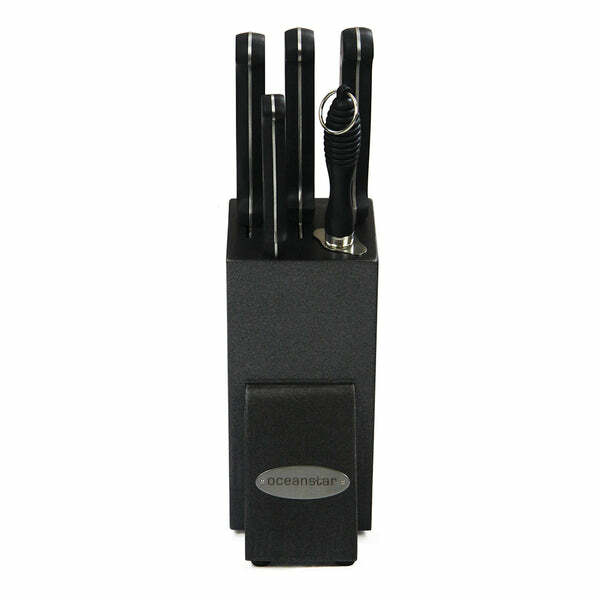 Oceanstar KS1200 Contemporary 6-Piece Knife Set with Block, Elegant Bl (kitchen, knife set, oceanstar) | Knife Set | Oceanstar Design Group Inc. Ever wanted to have your own quality cutlery set in the kitchen? Look no further. 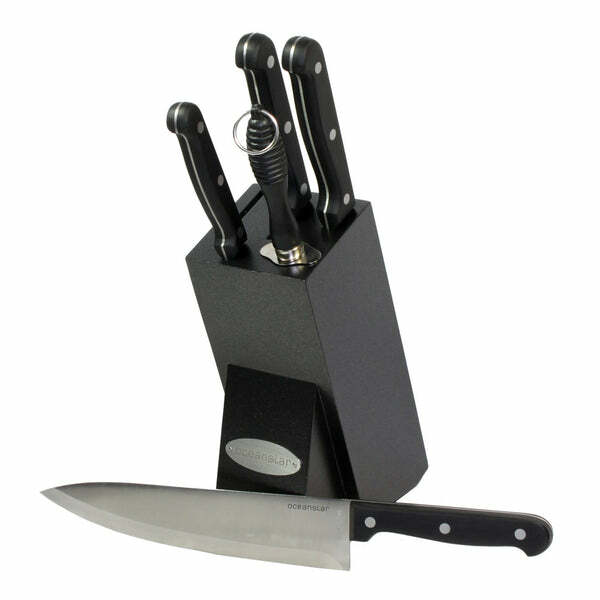 This essential 6piece knife and cutlery set with block from Oceanstar is not only practical but also features: Satinfinished high carbon stainless steel blades, which are tripleriveted to black POM handles; Full length tang construction gives each knife strength and stability; Dishwasher safe but hand wash preferred to prolong the lifetime of the blades. 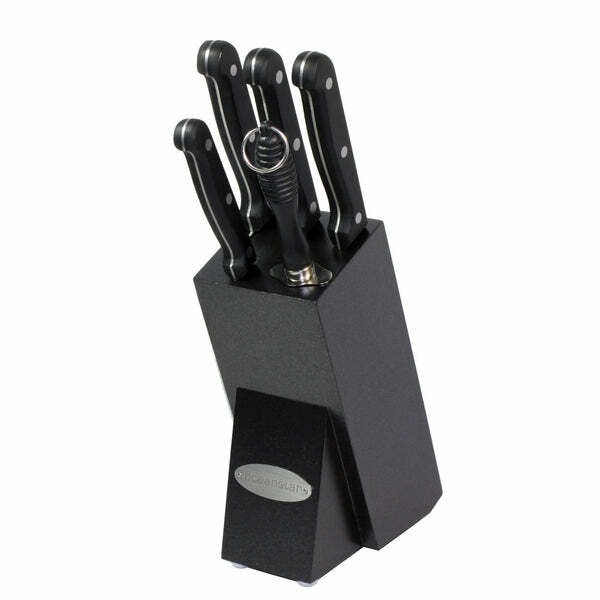 Each tripleriveted handle is beautifully shaped and ergonomically designed to fit smoothly into your hand. 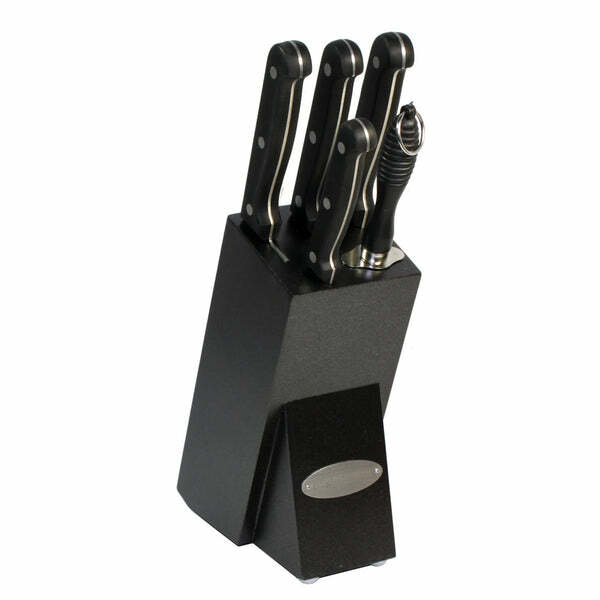 This 6-piece knife and cutlery set provides most kitchen users with their cutlery needs and packs all knives in an elegant black finished hardwood storage block. Cleaning: Recommend manual cleaning with hot, soapy water to keep knives in top shape. 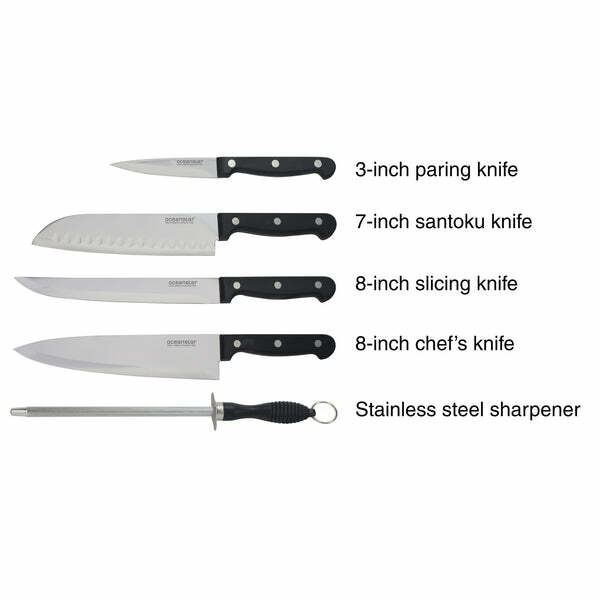 Limited 90 days warranty.The set includes: 3-inch paring knife, 7-inch santoku knife, 8-inch slicing knife, 8-inch chef’s knife, stainless steel sharpener, and hardwood block. High carbon stainless steel material makes the edge fine and sharp. 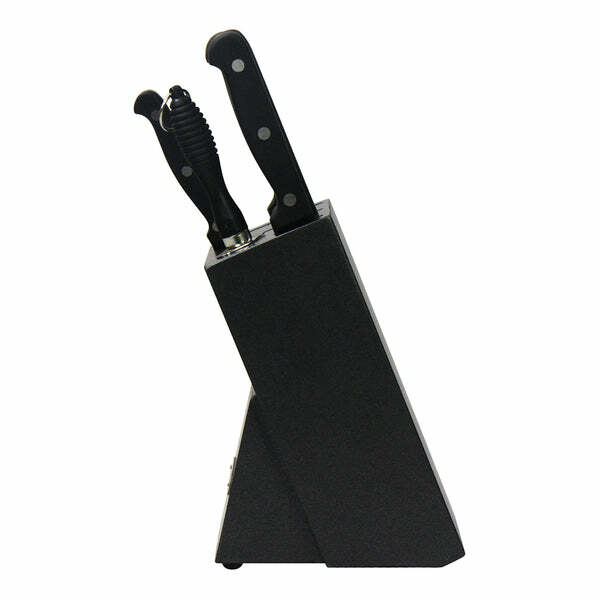 Stainless steel blade goes through handle with full tang construction for strength. Santoku knife with air pocket for easy food release. 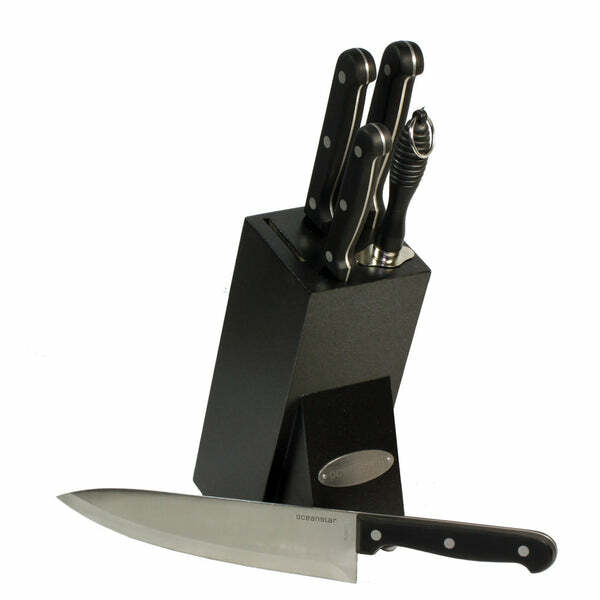 Handle shape is ergonomically designed triple riveted to ensure the handles are strong and secure. 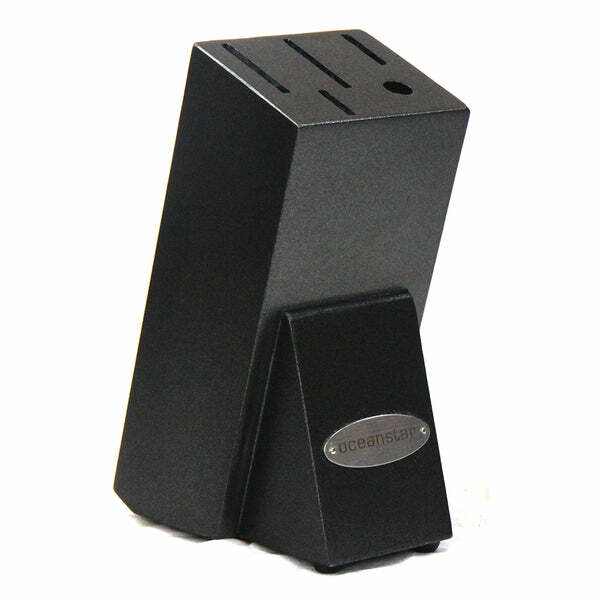 Hardwood storage block keeps your knives organized, safe and ready to use. Elegant black finished wood block. 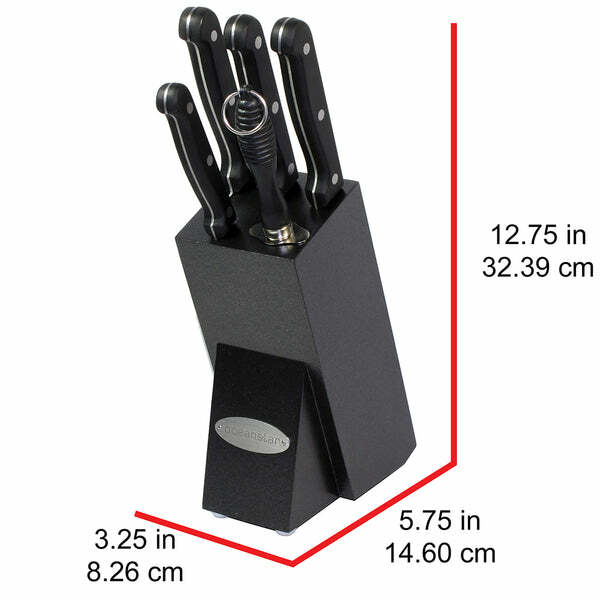 Find more Knife Set or additional Oceanstar Design Group Inc. products.